In the name of God: our confidence and our connection. Amen. Perhaps you’ve heard about this kind of thing… Someone is confiding in a friend – a family member – someone close to them. They’re concerned about some trial or tribulation, like we all face in life. Maybe a loved one is scheduled for surgery. Maybe they’re concerned about their investments for retirement in this volatile market. Maybe they’re having trouble selling their house, or their kids are struggling in school… Any of the things we all worry about from time to time. Then, with a countenance of love and compassion, the confidant turns to the confider and offers that age-old wisdom – “Don’t worry.” or “it’ll all work out.” or any of the other platitudes we turn to when we don’t know what else to say. The problem with that is, it doesn’t really help. It’s like when someone is suffering after the end of a relationship and we say, “There’s plenty of fish in the sea…” Or when someone is suffering at the loss of a loved one and we say, “They’re in a better place now…” It’s not that the platitudes aren’t true, it’s that they don’t tend to help. And when you’re actually worrying, the lessons we read today for the celebration of Thanksgiving, can, at first glance, come across as little more than platitudes. “Don’t worry,” says Jesus. “Don’t fear,” says Joel. If that’s all we’ve heard, then I could see how it could sometimes sound hollow. But, of course, the words of Joel and Jesus are not platitudes – because that’s not all they say. And even if those small, yet insurmountable commands were all we heard today, they happen in the context of the greater narrative of our faith. A faith born from the creation of all that is, and God’s declaration that it is good. A faith born from the struggles of the Hebrew people: chosen, and yet condemned again and again; sometimes kings and rulers, and yet sometimes enslaved; sometimes worshipping God in the glory of the Temple, and yet sometimes exiled and yearning. These words come in the context of a faith that was born amongst a people who were deeply striving to know God more fully, and whom God answered again and again, until answering at last in the person of Jesus – God’s own self, with us in the world, despite all this world’s struggles and pains and worries and fears. That’s who says not to worry – one who knows how. One who has been down this road, and indeed, a road more challenging than most of us could imagine. And why? Why shouldn’t we worry? Jesus didn’t just say not to worry because he didn’t know what else to say. He said it because the God who is deeply striving to know and to be connected with us as deeply as we are striving know and connect with God has already shown how much God cares for the world. We are connected with this world – in the most physical way, through our actual touch and immersion and experience. And Joel and Jesus rightly point out that God cares for the world. God is connected, just as we are. Earlier this week, a friend of mine who is a priest in Missouri posted on Facebook that she was smelling the wildfires in California. Often, my husband will light scented candles in our living room, and I can’t smell them from the couch – but Maria was claiming to smell a fire burning from nearly 1900 miles away. 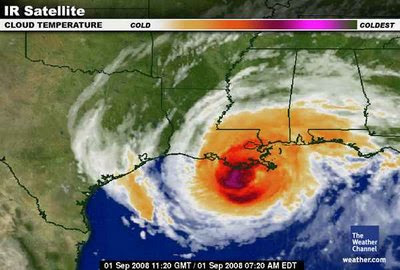 Well, before the whole of the internet could pounce on her and rail against her for being utterly mad, she posted evidence from the National Oceanic and Atmospheric Administration, showing satellite imagery that proved she wasn’t, indeed, crazy. 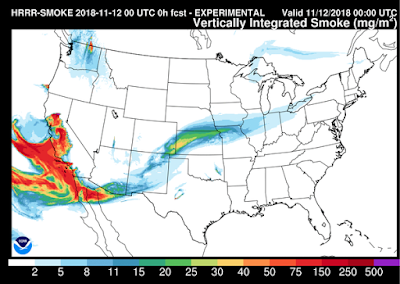 The smoke from these fires had reached the upper atmosphere, and had been picked up by the jet stream, and swept south and east, through California and then on through Arizona and New Mexico. It had spread across Texas, and Okahoma, and yes, even Missouri. In fact, there were, earlier this week, reports of people smelling the California wildfires from as far away as Michigan. We are connected. Our celebrations are shared, just as surely as are our tragedies. Our love is shared, just as much as our apathy. Our faith is shared, just as much as our doubt. We’ve come together this week in thanksgiving for that connection. Our churches each do their own work. We each try to make an impact on the world in smaller and larger ways. And while we may not always know what the others are up to, we do always share that connection. We serve this community. Though the world is filled with so much abundance, somehow, it’s often left feeling lacking. It desperately needs people who will be committed to serving others. We bring faith to this community – in a world that desperately needs some hope to cling to. We bring relationships and deep connections to this community – in a world that so desperately needs to know that love is real. So don’t worry. Not because we can’t think of anything better to say, but because we are so fortunate to be heirs of this connection – this tie that binds us together. Don’t worry, because we are not alone. We’re connected to one another, and to all the faithful people throughout the world. And most of all, don’t worry, because we’re connected to a God who longs to be connected to us, too. Don’t worry, because that same God – the same one who rescued the Hebrew people from slavery, and who brought them in again and again from exile, and who came to earth in the person of Jesus, and who even brought Christ through death – that very same God who has already given us the gift of the Holy Spirit to guide and to comfort us, has promised to continue guiding us and comforting us through all the trials of life. Even when we don’t know what to say. Even when we say and do all the wrong things. Even when we forget to depend on each other. Don’t worry, because we are not alone. Thanks be to God. Amen.